NextGen Office EHR is the perfect choice for any DO. NextGen Office EHR includes an “Osteopathic Module” that is built to assist osteopathic physicians in documenting the osteopathic exam. The medical team at HealthFusion is working closely with the Osteopathic profession to develop ways to make it easier for Osteopathic Physicians to meet the ever-growing list of requirements mandated by the government and licensing organizations such as the AOA. HealthFusion is working with the AOA to find ways to integrate many of the quality guidelines that are part of the AOA’s highly successful CAP program. We recognize that participation in the AOA CAP program will be keyed to physician certification, and our goal is to make CAP reporting as simple and comprehensive as possible. 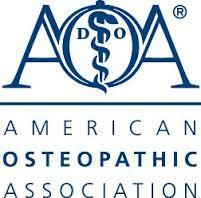 The NextGen Office integrated EHR Suite of products was selected by the American Osteopathic Association (AOA), as their strategic EHR partner. The purpose of our partnership is to promote adoption of electronic health records (EHRs), and the AOA is currently introducing HealthFusion’s NextGen Office to its more than 41,000 physician members nationwide. This is the largest medical organization partnership of its kind! Interested in a NextGen Office Demo? Want more information about NextGen Office?